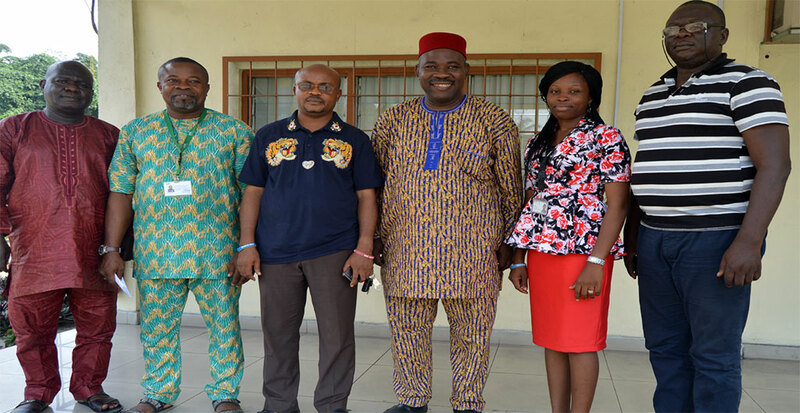 Okechukwu (3rd from right) and IITA Onne staff. The Chairman, Community Development Committee Onne, Mr Martin Olaka, has called on IITA-Onne to collaborate in tarring the access road linking the station to the town. He made this known during a courtesy visit to the station on 6 December. He said the intervention will open up development in the area and create contribute to the smooth operation of research activities. Olaka stated that the road construction should start this December as he would involve other bodies that will facilitate the completion of the project. Dr Richardson Okechukwu, Head, IITA-Onne Station, in welcoming the delegates, said the road intervention is apt at this time when the rains have stopped; he expressed his appreciation to the Community Development Committee for extending the hand of cooperation. 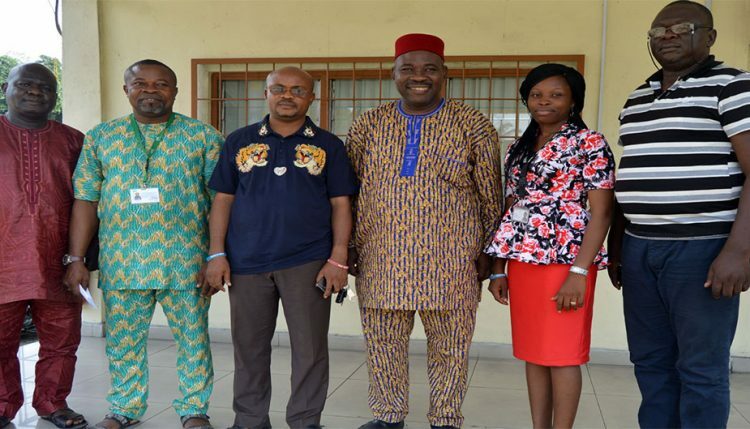 Months earlier, the newly appointed Onne Youth Executives were in IITA on a familiarization visit. They expressed their thanks to IITA for the commitment in training unemployed youths in agriculture. They said that this proves the readiness and unequivocal commitment of the institute in empowering youths in the South-South and South-East Zones of Nigeria.